Peace and clarity is not the reason Dagmara started her yoga practice, but it is the reason she keeps coming back to her yoga mat. Yoga is incredible at getting us in touch with our internal source of peace and well-being, and connecting us to our true center – which is love and pure joy. Those are the aspects that Dagmara loves sharing in her classes most. Dagmara’s classes also put emphasis on exploring your breath and pushing an envelope of your physical abilities in a fun and playful way. After class you will walk away with an energized body, clear mind and rejuvenated spirit. I am Carolien, an experienced 500-hour Yoga-Alliance Certified Power yoga, SUP yoga and Yin yoga instructor. Having studied under master teachers such as Paul Grilley and Bernie Clark, my yoga teaching is well-founded and honors basic anatomical differences. In 2016, I founded TerraWave yoga, a unique and fun yoga sequence on Indo YogaFit balance boards. You can experience TerraWave as well as my other classes on the beautiful outdoor beachdeck at Manchebo! My style of teaching is caring and down to earth and my intention is for you to find balance, strength and peace of mind. Barbara’s road to the world of Pilates began years ago in her homeland of The Netherlands, where she took a fitness course from Debby Jenner, who is credited with introducing The Netherlands to the aerobics craze that began in the U.S. in the 1980’s. Barbara has seen her way through many of the fitness class genres—from basic aerobics and step aerobics to Callanetics, but it is Pilates that she enjoys and finds the most beneficial for overall body conditioning. “Pilates helps to build flexibility, muscle strength, and endurance, with an emphasis on core work,” she explains. Barbara teaches 3 morning classes a week (Tuesdays and Thursdays at 9:15am and Saturdays at 8:15am. Barbara has developed a strong local following. “I love to teach—you can see it because I just always have a big smile on my face during class…and to be able to teach in such a spectacular beach setting is so special. 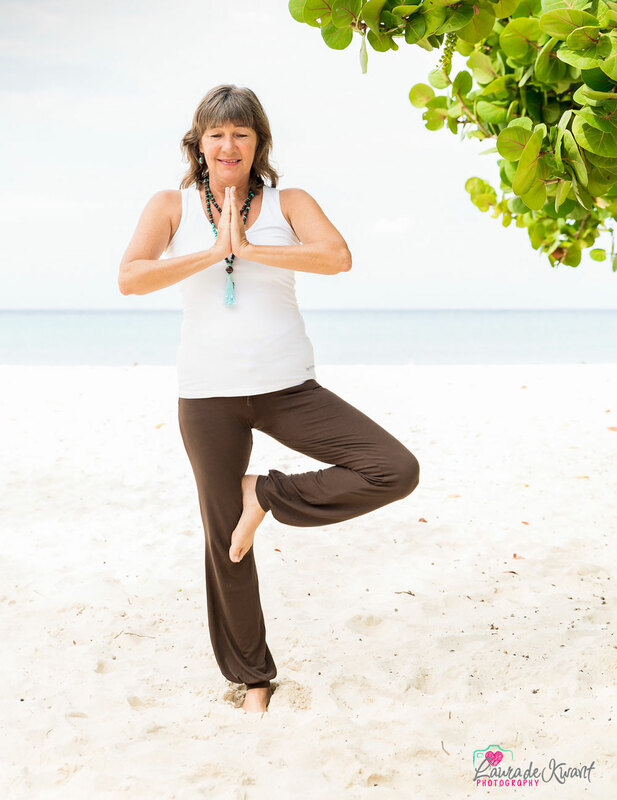 Leontine has been practicing numerous forms of yoga, meditation and body work for over 30 years. She has been teaching Yoga for more then 10 years now and has been part of Manchebo’s Yogateam since the beginning. Her exploration on the path of yoga led her through Hatha yoga, Chakra yoga, DRU yoga, Siddha yoga meditation, Kum Nye Tibetan yoga, UniversEl yoga, to Aplomb yoga, Meridian yin yoga and iRest Yoga Nidra meditation as developed by dr Richard Miller. Leontine incorporates elements of all these beautiful teachings into her classes into a unique mixture. She teaches with emphasis on gentleness and awareness. 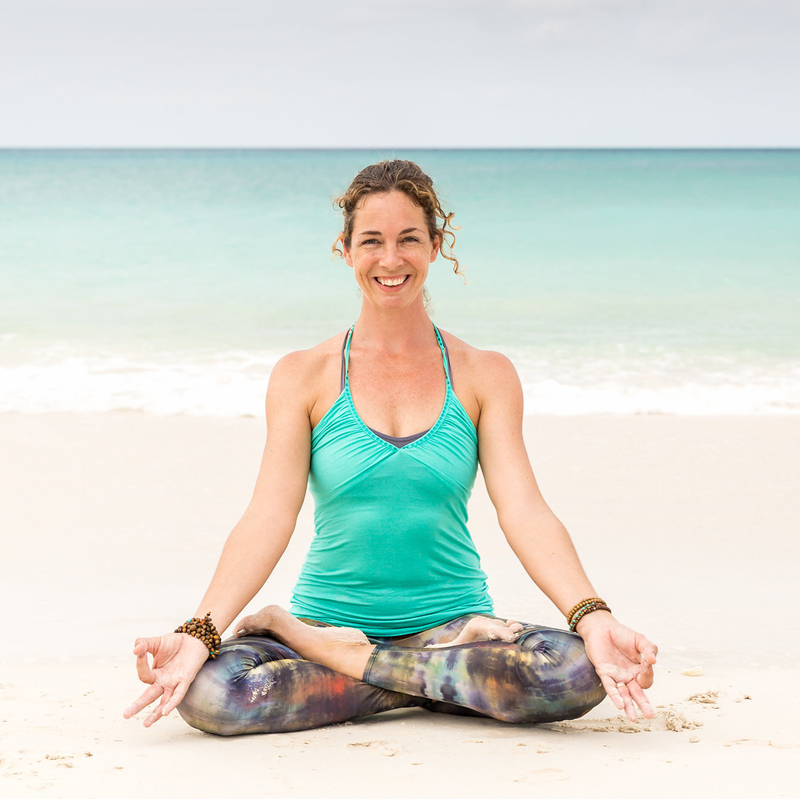 Her mission for teaching is that the practice of yoga helps participants find their inner center of balance and stillness as a tool to experience more presence, joy, authenticity and Light-ness in the turmoil of daily life. Leontine teaches the Gentle morning yoga class every Friday morning at 8am and is available for private meditation classes. After completing her Paraveterinary studies in Holland, Veronique returned to school to complete her secondary studies in sports nutrition and personal training. Wanting to make a drastic career and lifestyle change, Veronique decided to follow her lifelong dream of living and working in another country doing what she loved. 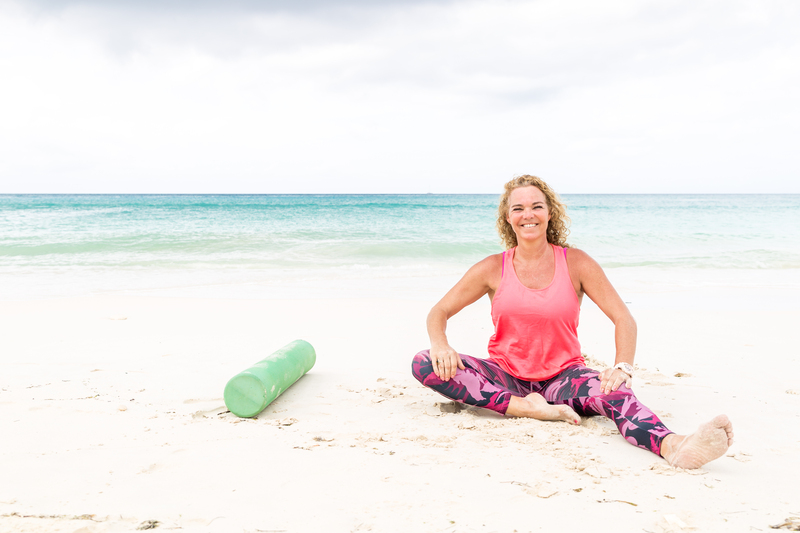 With her extreme passion for sports and travel, she packed her bags and moved to Aruba to coach CrossFit, Bootcamp and exciting SUP courses like BodyFit, Pilates and Yoga. Veronique also offers one-on-one personal training and nutritional advice and is fluent in English, Spanish, and Dutch. She loves working with clients who have a positive attitude and who share her passion for health and fitness. So, if you’re looking to stay fit or get back on track during your vacation, come see Veronique for an inspirational sweat sesh – she’ll even give you great tips for healthy dining options during your stay on the "One Happy Island" of Aruba!